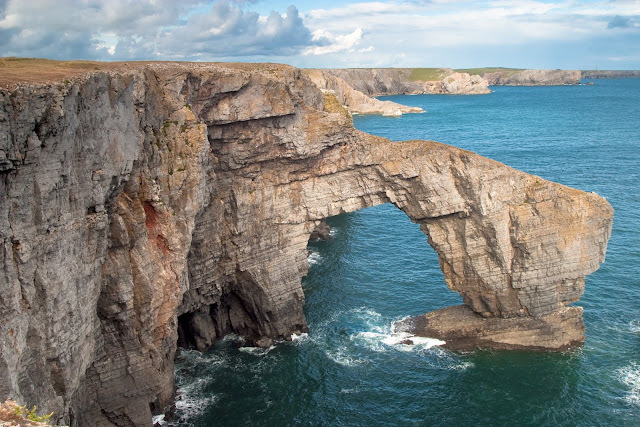 For 186 breathtakingly rugged miles, the Pembrokeshire section of the Wales Coast Path promises days full of seabirds, seals, puffins and even the occasional dolphin. Tony Bowerman says it’s unmissable. 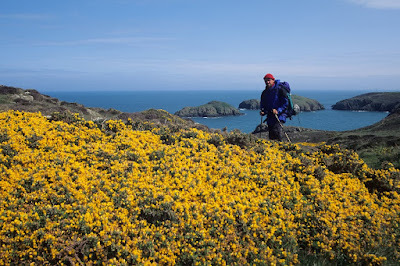 It’s official: Pembrokeshire offers world-class walking. Recently voted the “world’s second-best coastal destination” by National Geographic magazine and, in 2011, named the second in a list of the “world’s top ten long distance paths”, the Pembrokeshire coast path is definitely a dream destination for walkers. The lovely Pembrokeshire section of the Wales Coast Path undulates along the top of rugged cliffs, in and out of secluded coves and tiny harbours, and along numerous sandy beaches. From the remotest reaches of the north coast near Strumble Head on day one to the popular beaches around Tenby on the final day, it provides a wonderfully varied experience. Whether you come for the scenery or the solitude, the wildlife, Welsh history, language and culture, or simply to immerse yourself in an exceptional corner of Britain, Pembrokeshire certainly won’t disappoint. Pembrokeshire’s unique qualities were recognised as far back as 1952 when it became one of Britain’s first National Parks. The path traverses several National Nature Reserves, lots of Sites of Special Scientific Interest and one of the UK’s four Marine Nature Reserves, all helping protect the area’s geology, habitats and wildlife. Along the way, you’ll encounter countless seabirds — including puffins, peregrines, choughs, gannets and fulmars. 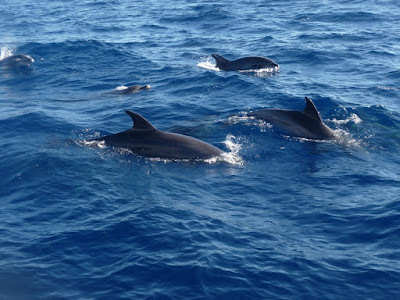 You’re also likely to see plenty of inquisitive seals, and if you’re lucky, porpoises and dolphins. But most memorable, perhaps, are the spectacular carpets of maritime wildflowers that colour the cliffs and offshore islands in spring and early summer. As well as ever-changing scenery, the coast path is a walk through history too. Cover the whole route over fourteen or so days and you’ll discover prehistoric burial chambers near Fishguard, Aberdraw and Manorbier, standing stones and hillforts, dramatic medieval castles at Pembroke and Manorbier again, tiny Celtic chapels and atmospheric St David’s Cathedral. Several sections of the coast are also managed and protected by the National Trust. For the first few days, the Pembrokeshire section of the Wales Coast Path runs along the rugged north coast with its high, often remote and windswept cliffs. 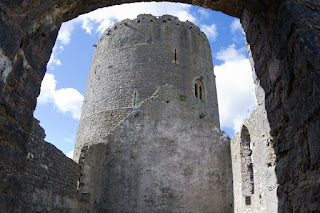 Along the way, it drops in to Newport, Fishguard and the tiny cathedral city of St David’s. Once round the St David’s peninsula, the path enters St Bride’s Bay, with its hidden coves and historic headlands. Beyond the Marloes peninsula and St Ann’s Head, the coast becomes more developed around the Milford Haven, before rounding the Angle peninsula, and passing through spectacular limestone and sandstone scenery on its way to lovely Tenby and its end at Amroth, on the Pembrokeshire/Carmarthenshire border. Favourite day walks include the section between Stack Rocks and Bosherton Lily Ponds, passing the amazing sea arch at the ‘Green Bridge of Wales’ and tiny St Govan’s Chapel hidden in a cleft in the cliffs. For a longer, two day walk, I recommend the stretch from Strumble Head to Whitesands Bay. 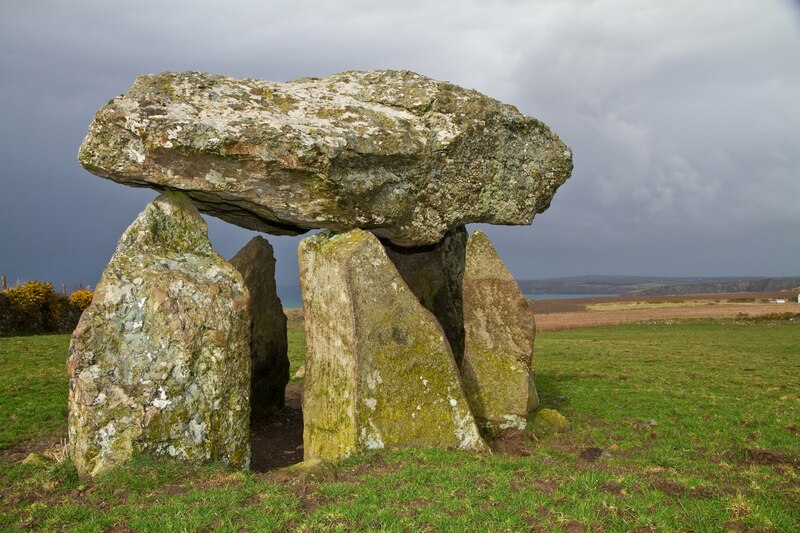 It’s got some of the best dramatic scenery on the whole Pembrokeshire coast and a host of prehistoric remains including the fascinating Carreg Samson cromlech. 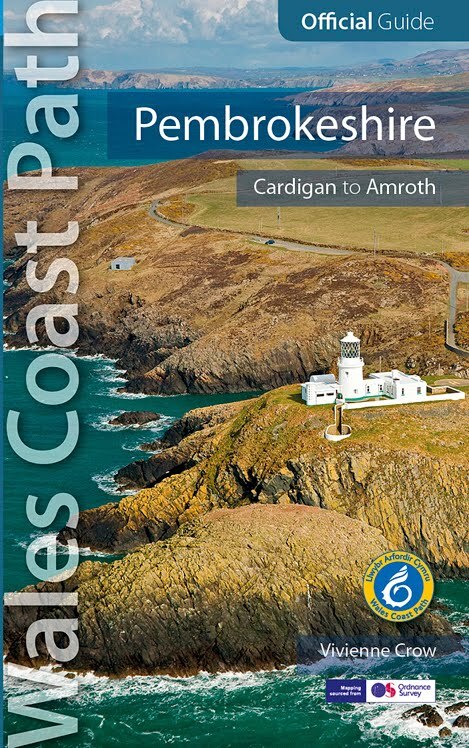 For a detailed guide to the 186-mile linear route, get hold of a copy of the Official Guide: Wales Coast Path: Pembrokeshire by Vivienne Crow. 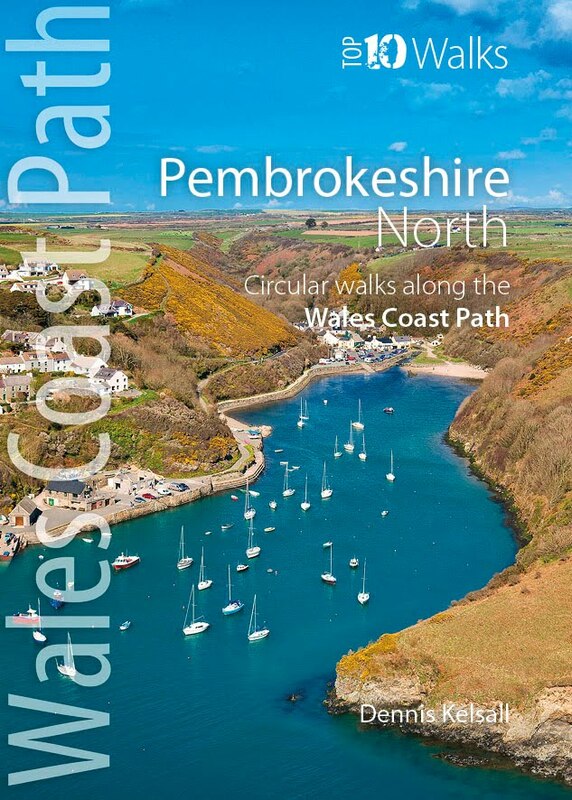 Or if you prefer short, circular walks along the coast, try the two attractive pocket-size ‘Top 10 Walks’ books for the Wales Coast Path: Pembrokeshire — North and South, both by Dennis Kelsall. (ISBNs 978-1-908632-29-6 and 978-1-908632-30-2 | £5.99 each).